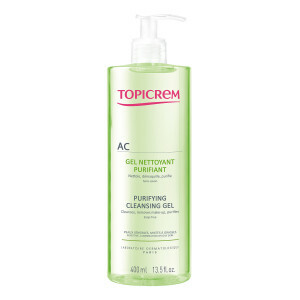 AC CLEANSING PURIFYING GEL has been specifically developed for oily and sensitive skin. 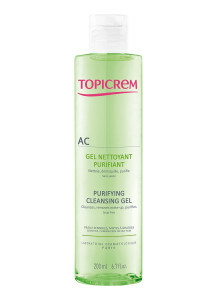 The cleansing soap-free base purifies and gently cleans without drying the skin, eliminating impurities and excess sebum. The skin is clean and fresh. 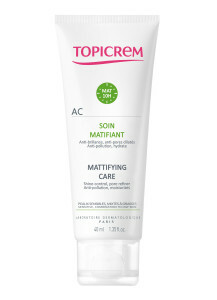 Apply to wet face and neck lather, then rinse. In case of contact with eyes, rinse thoroughly. 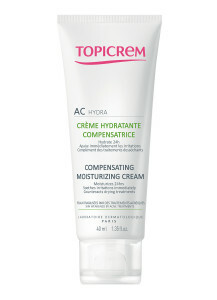 Follow with application of AC Active Care or AC Compensating Moisturizing Cream. AQUA (WATER) . SODIUM LAURETH SULFATE . GLYCERIN . SODIUM COCOAMPHOACETATE . COCO-GLUCOSIDE . GLYCERYL OLEATE . ZINC GLUCONATE . MYRISTYL PCA . SODIUM CHLORIDE . GLYCERYL CAPRYLATE . PHENOXYETHANOL . 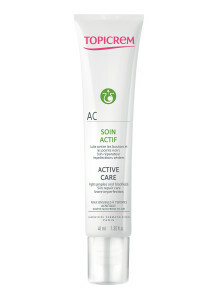 ALLANTOIN . CITRIC ACID . ACRYLATES/C10-30 ALKYL ACRYLATE CROSSPOLYMER . SODIUM HYDROXIDE . TOCOPHEROL . SODIUM SULFATE . HYDROGENATED PALM GLYCERIDES CITRATE . LECITHIN . ASCORBYL PALMITATE . PARFUM (FRAGRANCE) .